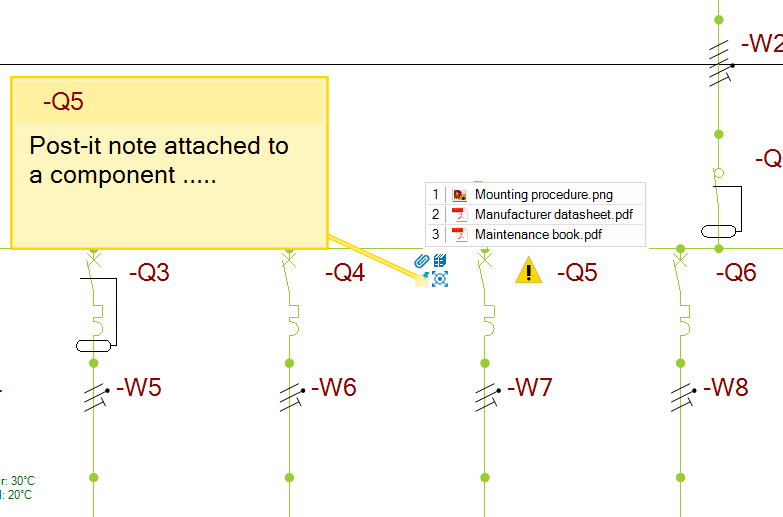 elec calc™ allows all types of external documents to be linked to a project or to one or more components. 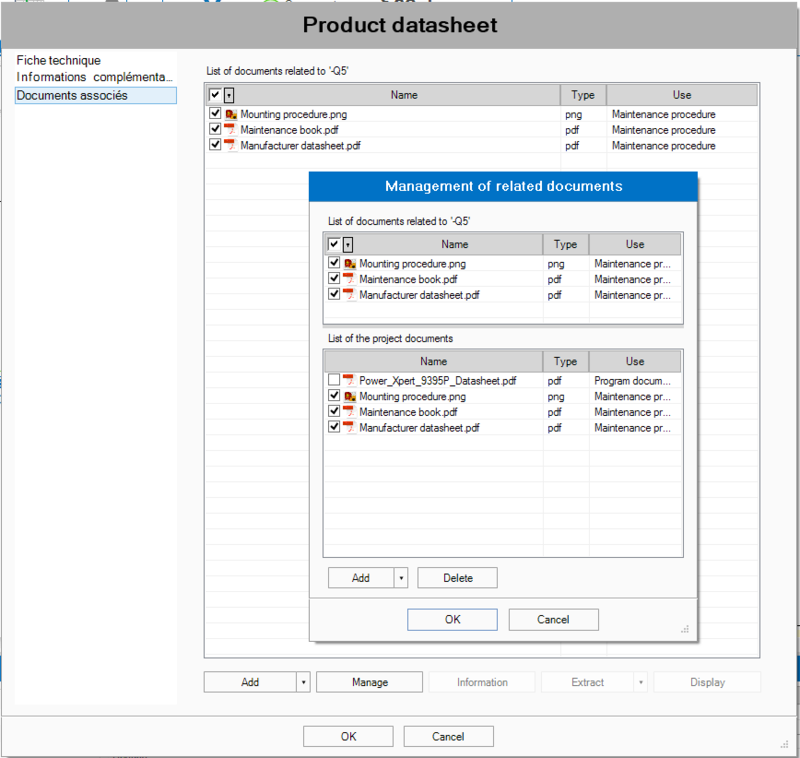 The attachment of document can be done by a simple drag/drop from the Windows explorer or through the window “Management of related document”. 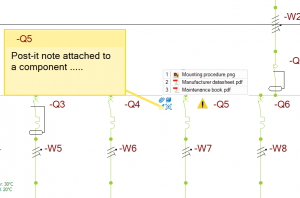 It is also possible to attach a post-it note to any of the components of the one-line diagram. The notes can be displayed either permanently or on mouse-over the related icon.